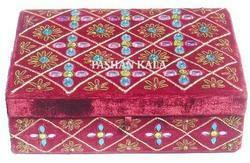 We provide our clients with an attractive range of Jewellery Box of best quality. These are offered to our customers at the most competitive rates, to suit the budgetary constraints of our clients. These are manufactured using excellent quality raw material procured from most trusted suppliers. 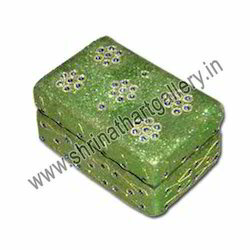 Wooden Jwellery Box with atractive hand painting. Black Resin Elephant Box- 5.5' Height. We offer a wide range of gemstone products. This Multi Utility Box is Made of Wood & is an ideal Gift for your Loved ones.